My first project at Naughty dog is 'The Last of us' I've worked on the project for two and a half years. You can view the artwork I've created this project below. 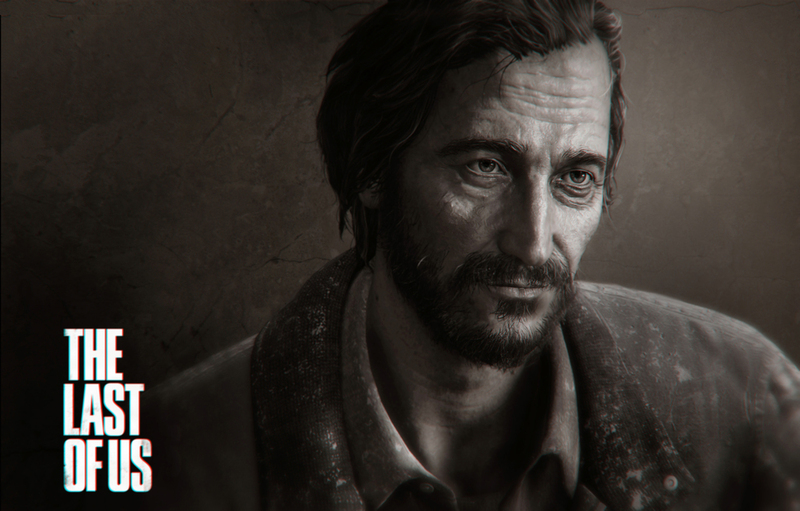 David is a character that appears in The Last of Us. He is the leader of a group of survivors and acts as the primary antagonist of lakeside resort. Final head texture polishing by Michael Knowland. The Infected are mutated humans, reshaped into horrific new forms by a recombinant fungal infection. The resulting creatures are highly aggressive, and will attack any uninfected human on sight. 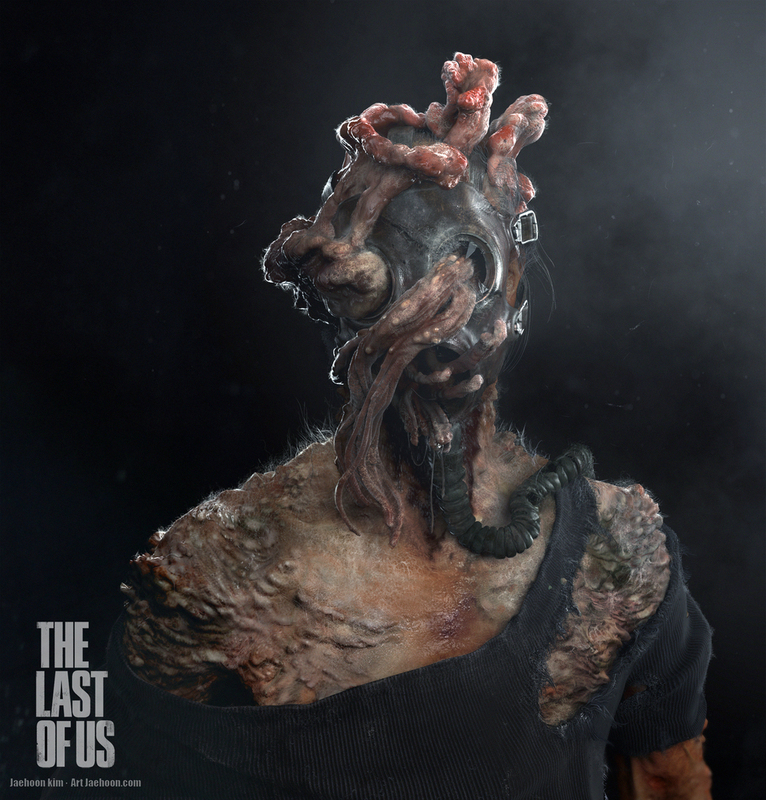 The Infected are the main antagonists of The Last of Us. 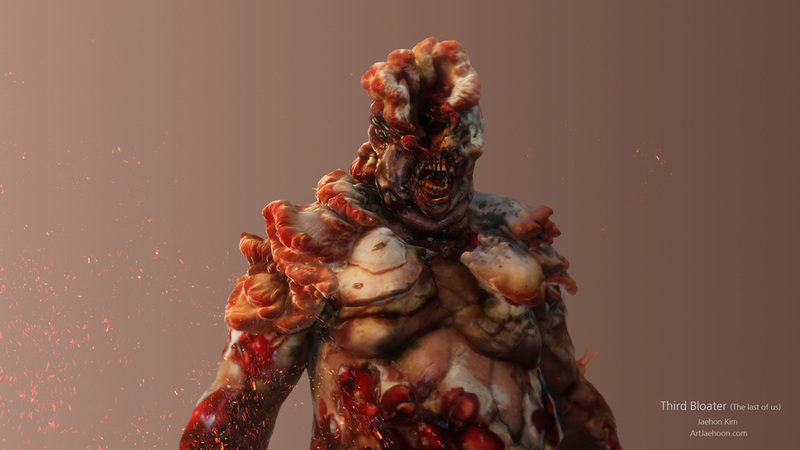 Bloaters are the fourth, final, and most dangerous stage of the Infected and are immensely strong. 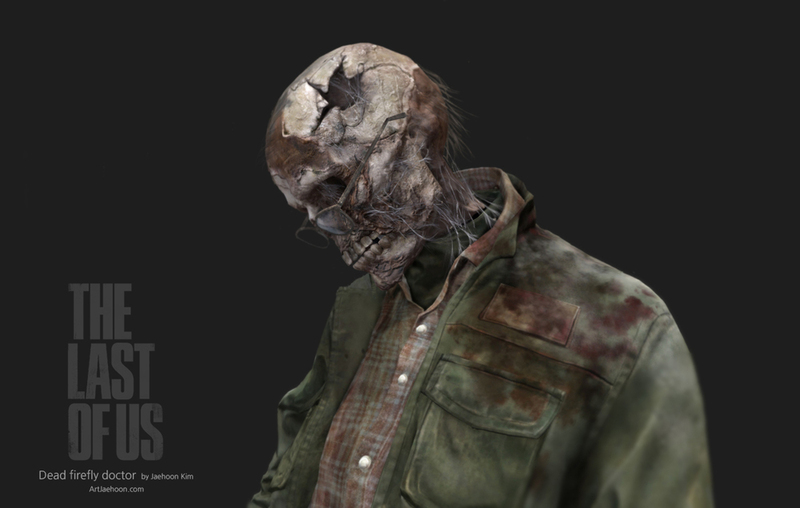 Bloaters take the longest to develop, making them the rarest of the infected. They are covered in thick fungus that effectively doubles as armor plate. This is one of bloater variation. 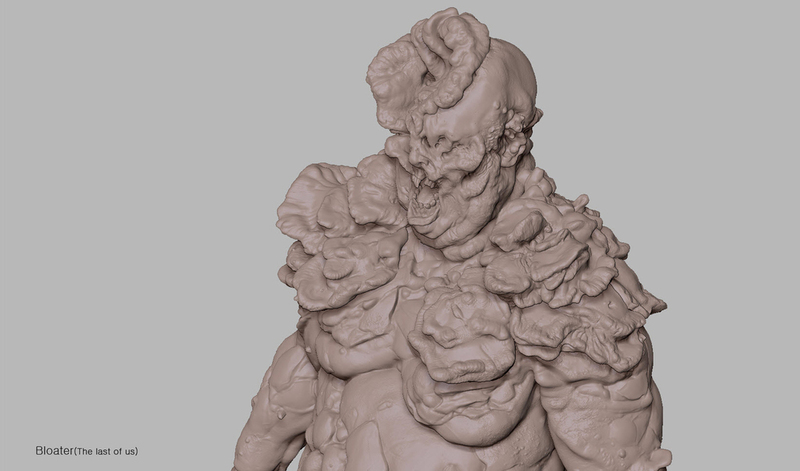 The base model is from Michael Knowland and I created upper torso include the head. 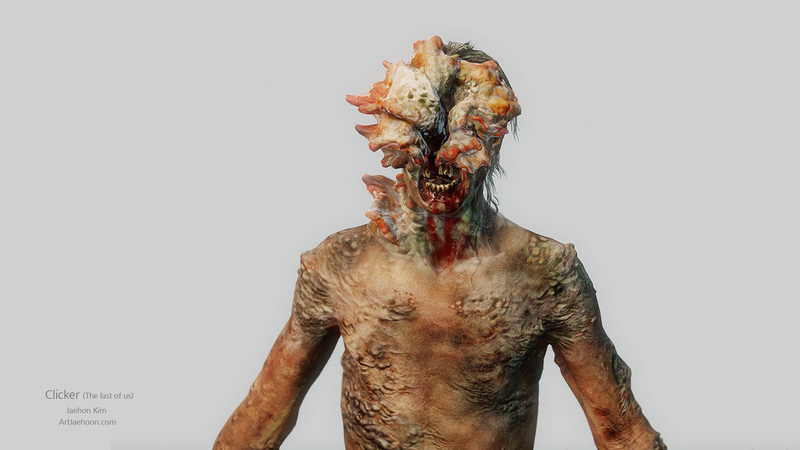 Clickers appear less human than Runners, with faces that are skewed and scarred by fungus developed from their infected brains. Clickers are dangerous and much more aggressive than Runners, and no longer resist the fungus because their humanity has been eliminated. Stalkers are the second stage of the Infected. They have the vision and speed of Runners and a slightly weaker enhanced echolocation of Clickers. The most notable physical traits that define the "Stalkers" is the distinct croaking noises they make, the beginning of fungal growths on the head and face, the development of pseudo echolocation, and their discretion when chasing a victim - they will strafe and take cover, eventually closing in on the victim, hence the name "Stalker"
"They might still look like people, but that person is not in there anymore." Neil Druckmann is the Creative director. Bruce Straley is the Game Director for the project. Hyung Taek Nam worked on the creature 2d concepts.